He looks as though he's in a bad mood. A great b&w photo, the bird looks funny! He looks surprised, you might have disturbed him / her? I like it! This unhappy looking robin is wondering what happened to spring? Good photo of a robin with an attitude. Nice shot and apt title. Hhihi,- cool shot and title, Carver! Wonderful photo in B%W! 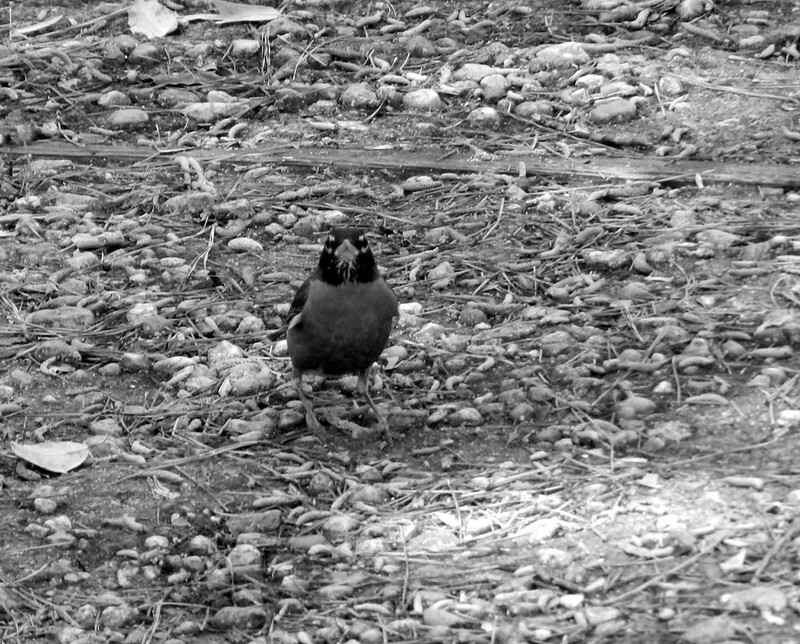 This bird dare a look at you! The bird looks angry. Great shot, Carver. Small bird, BIG attitude! Great shot.